"Many thanks again - I absolutely loved the head piece, it was so beautiful, complemented by dress perfectly and I got lots of comments from guests about how much they liked it too. It all came beautifully presented in a lovely little box and the handwritten note from Hermione made it feel even more special." We could not thank you enough for these kind words Jessica. You look absolutely stunning! 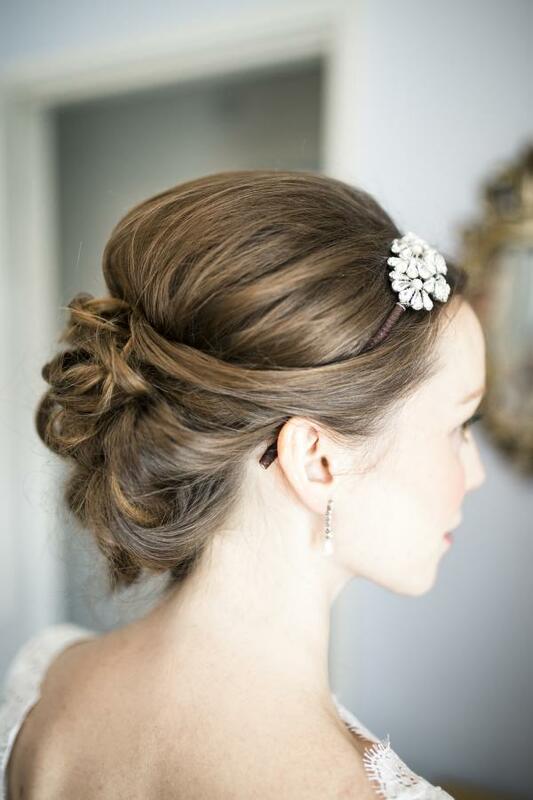 Jessica chose a beautiful Paris Mini Headdress for her lovely wedding. Beautiful wedding photography captured by Stephanie & Nicole Photography.